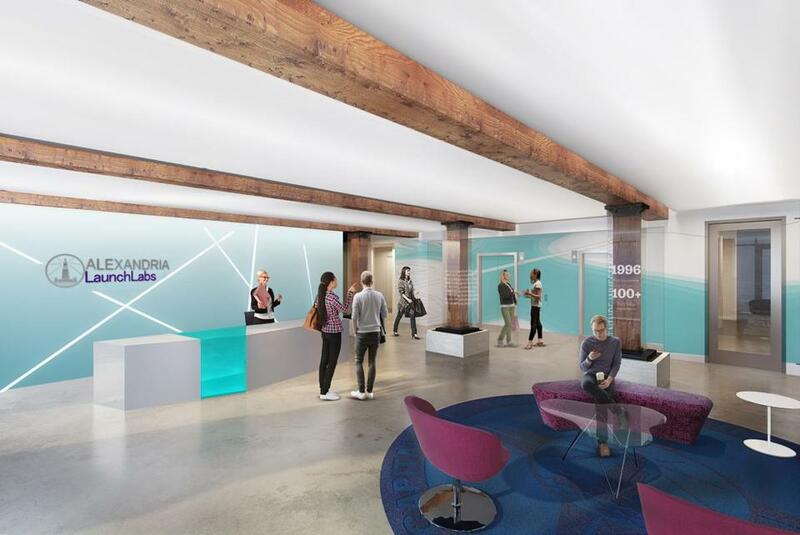 An artist’s rendering of Alexandria LaunchLabs, coming to Kendall Square. Biotech incubators are blooming like crocuses in Cambridge. But when Alexandria LaunchLabs opens in a 22,000-square-foot space at One Kendall Square in the fall, it will feature a twist that makes it different from any other incubator in the world, according to its owner. Alexandria Real Estate Equities Inc., which owns the property, says that if any of the scientists who rent laboratory space have a startup that looks particularly promising, the landlord may invest in the enterprise through its venture capital arm, which currently manages over $500 million. Alexandria Real Estate Equities says it is already the biggest landlord in Cambridge, with more than 4 million square feet of office and laboratory space in and around Kendall Square. The incubator will be in one of nine buildings on an eight-acre campus that Alexandria bought in 2016 for $725 million. Alexandria LaunchLabs will provide coworking space, scientific equipment, and support to about two dozen startups for as little as $2,000 a month — a deal in red-hot Cambridge, Marcus said. Companies can begin to apply online Thursday to Alexandria to become a tenant, but Marcus said demand is likely to far outpace supply. Alexandria opened its first LaunchLabs incubator in Manhattan, in 2017. It received 150 applications in the first eight months. Ultimately, about 20 tenants were selected. Alexandria plans to open its third incubator next year at a site to be selected on the West Coast, he said.